An amazing Halloween surprise arrived in our inbox. We had to share, immediately. 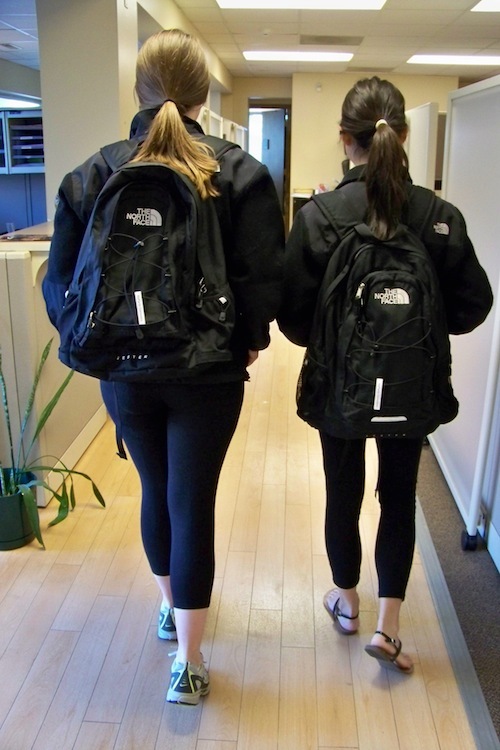 Two UIUC ladies dressed up for Halloween…as THIS BLOG. Mirhee and Dana did such a good job recreating last fall’s post about the NoPants Clonesters that we thought it was actually the same people at first. But nope, just the spitting image. They totally nailed it. The best part is how accurately they recreated the picture (taken at the Carle Campus in Urbana). EVEN THEIR SHOES MATCH. Wow, just wow. Happy Halloween everyone, and may fear strike in your hearts that the NoPants Clones strike again tonight!!! Looks like someone took the nursery rhyme a little too far. 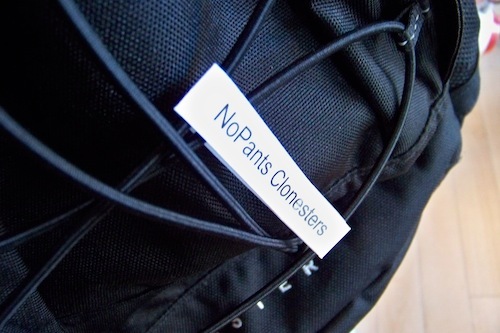 A note to all tourists: we understand saving suitcase space is important, but not packing pants is not the way to go. And just because you’re visiting the city of love doesn’t give you license to leave the pants at home. Eiffel Tower, Paris, France. 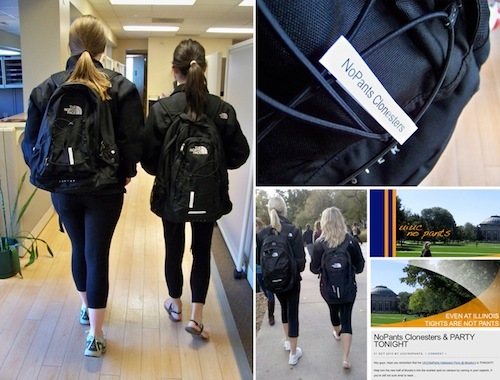 Thanks to Heather, a traveling UIUC-er on world nopants patrol! Pictured at the Neil Street Espresso Royale Cafe. 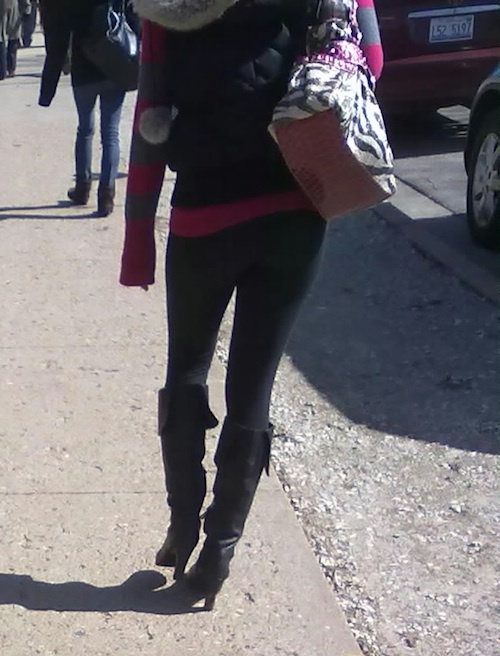 You think just because you’re slightly off campus you can safely leave your pants at home? Nice try, honey. Thanks to Drew for this one! It’s been three months since the last nopants report and still we’re getting a few submissions a week? You guys are the BEST!! Additionally, UIUCNoPants just celebrated its first birthday YESTERDAY (wow, has it been a year already) and in celebration, let’s make the rest of this semester ALL reader-submissions! Yes, 100%, so keep ‘em coming. It’s actually surprising how little things have changed on the nopants scene in an ENTIRE YEAR. Aren’t fads supposed to come and go a little more rapidly? When will PANTS be the new NOPANTS!? So on our anniversary, Claire brings us yet-another-skinny-girl in nopants. Don’t forget that nopants bring out every curve, or lack thereof, as the case may be. This one was spotted near CRCE.